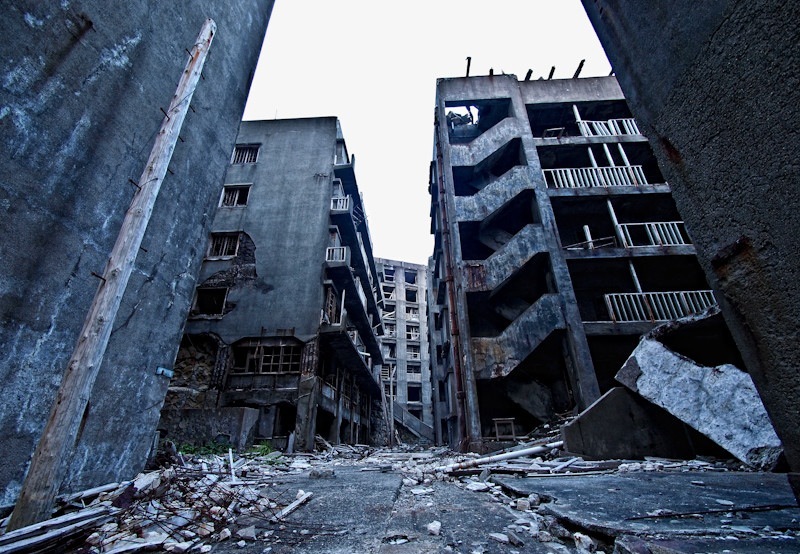 Yes, it is an abandoned city in Japan. 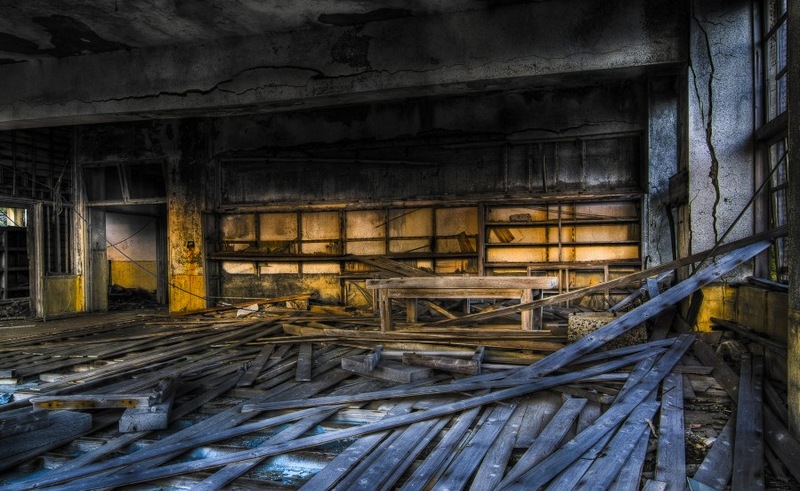 And yes, from this place, you could well have witnessed a nuclear explosion. A real nuclear explosion, from a plutonium nuclear weapon. However, I suspect that a spectator sitting on the beach of this Island, in the morning of August 9, 1945, would have been quite safe. 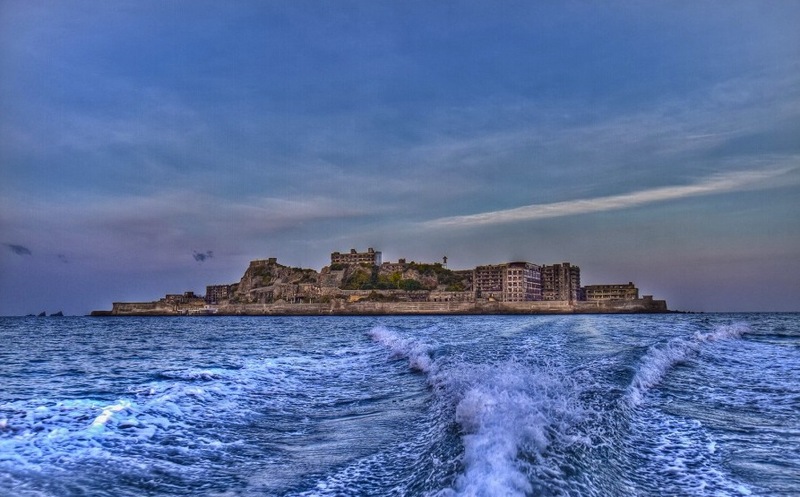 Hashima (端島) is one of the 505 uninhabited islands in the Nagasaki Prefecture, about 15 kilometers from Nagasaki itself. This island-city — once home to more than 5000 people — was not abandoned due to the A-bomb, nor as a consequence of a nuclear apocalypse. I wonder if Hayao Miyakazi got inspiration from Hashima, to describe the post-doomsday scenarios in the anime Future Boy Conan, inspired by the The Incredible Tide novel. The Battleship Island — as Hashima is known in Japan — developed as a coal mining facility, and the city was populated for almost 90 years, from 1887. Once the mine closed it activity, in 1974, the population rushed to fly the Island, leaving behind most of their belongings. 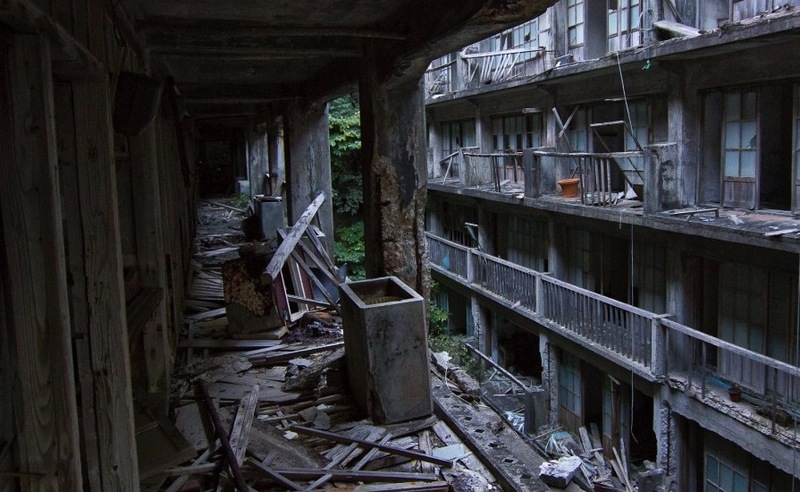 Today the ghost city on Hashima is one of the most amazing post-industrial archeological sites in Japan. Credits and more pictures on Gakuranman and Meow. Some very nice pictures were also posted on Battleship Island & Other Ruined Urban High-Density Sites. 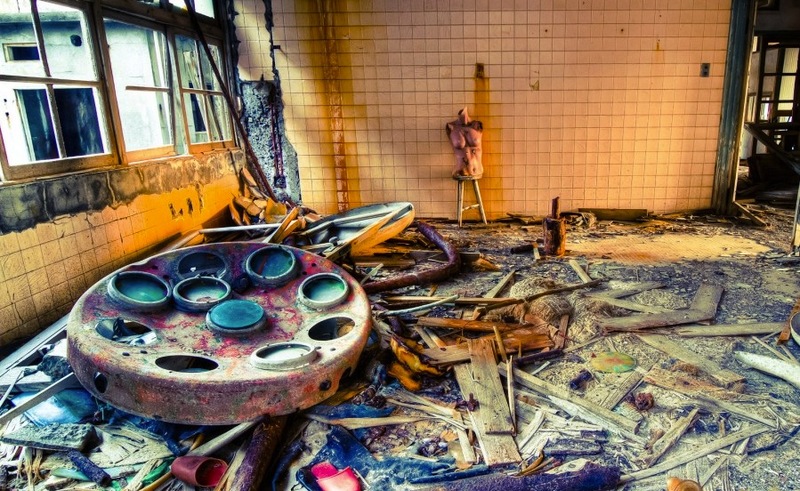 I would love to have a photo safari on the Battleship Island! Just recently, the Major of Nagasaki decided to open a (small) part of the island to tourists. These pictures were taken by un-authorized visitors!